In spite of her youth, eighteen-year-old Susan Jordon has always responded to the demands of her large family, even when it meant giving up something she herself desired. Now Susan has reached a critical point in her life. She has decided that her own individuality must express itself--that "myself" and "I" are more important than "ourselves" and "we." She must find a way to release her "real self." But the sensitive Susan soon discovers that it is difficult to be firm, when for so long she has been acquiescent. 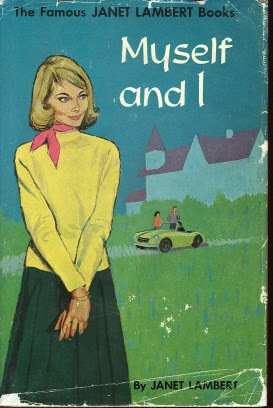 Susan's resolution of her problem and her response to the demands of exuberant Bobby Parrish make a delightful story for all girls who themselves desire an opportunity to express their own personalities.